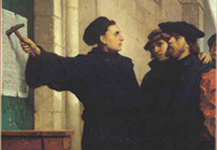 Reformedontheweb would like to wish everyone a blessed Reformation Day! This valuable practical treatise, was first published as a pocket volume about the year 1674, soon after the author’s final release from his long and dangerous imprisonment. It is evident from the concluding paragraph that he considered his liberty and even his life to be still in a very uncertain state; not from the infirmities of age, for he was then in the prime of life; but from the tyranny of the government, and probably from the effects of his long incarceration in a damp, unhealthy jail. It is the best and most scriptural guide that has ever appeared to aid us in the performance of relative duties: written with originality of thought and that peculiar and pious earnestness which so distinguishes all his works. No one can read this book, without finding in it his own portrait truly and correctly drawn to the life. Many have been the hearers of the word in its public ministration, who have been astonished that a faithful minister has not only opened their outward conduct, but the inward recesses of their hearts and have inquired with wonder, ‘Where could he get such a knowledge of my heart?’ The usages and feelings of every part of the human family the rich and poor outward professors or openly profane God fearers or God defiers are displayed in the following pages as accurately as if the author had been present in every family upon earth, and had not only witnessed the conduct of the happy and of the miserable in every grade; but he goes within and unvails that mystery of iniquity the human heart, its secret springs, feelings, and machinations. … we are bound, in the expectation of the divine approbation, not to shrink from duties, but to seek wisdom to fulfil them; and in this little work we have a scriptural guide to which we shall do well to take heed. It is a peculiarly solemn legacy the author’s ardent desire is thus expressed; ‘Before I die [as the greatest of all the duties he had to perform] let me provoke you to faith and holiness.’ Be it our duty and privilege to examine our conduct faithfully by those portions of holy writ, with which this treatise is beautifully adorned. It was written in the prospect of sufferings and death, and yet how serene was his soul. No cloud, no doubts or fears are seen; his legacy to us as well as to those who survived him is, ‘Love one another when I am deceased.’ My labours of love to you are limited to this world. ‘Though there I shall rest from my labours, and be in paradise, as through grace, I comfortably believe; yet it is not there but here I must do you good.’ Consider what he has advanced, and the scriptures by which every sentence is confirmed, and may his concluding and fervent prayer be answered to our souls: ‘The Lord give us understanding in all things. Farewell.’ GEO. OFFOR. Read the entire article by downloading the Pdf here. Definitions of Doctrine-Volume 2-Part 2-Chapter 12-Which Comes First in Conversion Life or Faith? CHAPTER 12-WHICH COMES FIRST IN CONVERSION LIFE OR FAITH? The subject on which I am about to write has long been a matter of controversy. It takes us into the arena where theological gladiators have fought for centuries. The keenest of intellectual swords have been wielded in the long combat. The Armenian declares in triumphant tone that faith precedes life; the Calvinist, with the same spirit of certainty, says that life must precede faith, and is logically the cause of faith. The writer believes that the controversy over this question is due to lack of distinguishing things that differ. The Scriptures speak of life in two different senses. There is life in the subjective, experimental and biological sense; and there is life in the objective and judicial sense. In other words, there is life in the sense of regeneration or the new birth, and there is life in the sense of justification. The first is life in respect to an inward state; the second is life in respect to an outward standing before the law of God. “Therefore as by the offence of one judgment came upon all men to condemnation; even so by the righteousness of one the free gift came upon all men unto justification of life” (#Ro 5:18), speaks of “Justification of life.”) The first is life biologically; the second is life legally or judicially. The first is life wrought in the sinner by the Holy Spirit; the other is life wrought for the sinner by the redemptive death of Christ. Life in one sense is from the Holy Spirit; in another sense it is from Christ. Life from the Holy Spirit gives spiritual qualities to the heart and mind which control the will; life from Christ takes us out from under the curse of the law. It is the difference between impartation and imputation. Life from the Spirit is life imparted; life from Christ is life imputed. The above distinction is a necessary corollary of the fact that the sinner is dead in a two—fold sense. He is dead in the sense that he is helpless and unable of himself to see or enter the kingdom of God, or to perform acceptable works in the sight of God. He is also dead in the sense that the sentence of death, culminating in the second death (the lake of fire) has been passed upon him. In one sense death is depravity of nature in which the sinner is blind to the light of the gospel; in another sense death is condemnation in which the sinner is exposed to the wrath of God. It is the difference between defilement of nature and condemnation of the person. With the above distinction in view, we are now prepared to state and prove that life from Christ—life in the objective and judicial sense- -follows faith. Every Scripture that predicated life upon faith in Christ refers to judicial life and presents life in contrast with condemnation and punishment. We can only take a few examples. #Joh 3:36: “He that believeth on the Son hath everlasting life: and he that believeth not the Son shall not see life, but the wrath of God abideth on him.” Life in this passage is based upon faith in Christ, and is in contrast with the wrath or judgment of God. #Joh 5:40: “And ye will not come to me that ye might have life.” Our Lord here says that men must come to him for life, and coming to Christ is the same as having faith in Christ. #Joh 3:16: “For God so loved the world, that he gave his only begotten Son, that whosoever believeth in him should not perish, but have everlasting life.” Life in this verse is opposed to punishment, and is, therefore, judicial life. #Joh 5:24: “He that heareth my word, and believeth on him that sent me, hath everlasting life, and shall not come into condemnation.” Note here that life is the opposite of condemnation, and therefore, must be life in the sense of justification. “That whosoever believeth in him should not perish, but have eternal life” (#Joh 3:15); “He that hath the Son hath life; and he that hath not the Son of God hath not life” (#1Jo 5:12); “Therefore being justified by faith, we have peace with God through our Lord Jesus Christ:” (#Ro 5:1). All these passages are fatal to Hardshellism—the position that preaching the Gospel is not essential to salvation. Everlasting life is based upon faith in Christ, and men cannot believe in Him of Whom they have not heard. “How then shall they call on him in whom they have not believed? and how shall they believe in him of whom they have not heard? and how shall they hear without a preacher?…So then faith cometh by hearing, and hearing by the word of God” (#Ro 10:14,17). We ask our readers to keep our distinction in mind while we prove from the Scriptures that life from the Holy Spirit—life in the subjective and biological sense—precedes faith, and is logically the cause of faith. And let it be understood that we are not contending that life precedes faith in point of time. We are not saying that one may be born of the Spirit one day or week and believe on the following day or week. The order we are contending for is that which is seen in the relation between cause and effect. We are saying that faith in Christ is the effect or evidence of the new birth. We do not leave room for the question— “Can there be a regenerate unbeliever?” The effect of a thing may co- exist with the thing itself. To illustrate: I shoot a bullet through a wall; the bullet and the hole were there at the same time, but the bullet caused the hole and not the hole the bullet. The new birth and faith may be simultaneous, but the faith did not cause the new birth, the new birth caused the faith. That the birth of the Spirit precedes faith as cause precedes effect, we will now prove from analogy of Scriptures. We will compare three verses of Scripture. In #1Jo 2:29 we read “that every one that doeth righteousness is born of him.” The verb here is in the perfect tense in the Greek and should read, “Has been born of Him.” The question to settle is this: Is doing righteousness the cause or the effect of the new birth? 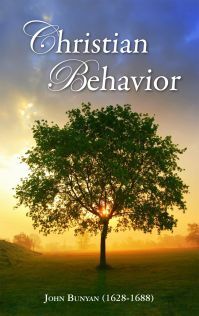 Does practical righteousness logically follow or precede the birth of the spirit? The rankest Armenian among the Baptists will be compelled to say that the new birth precedes and is the cause of practical righteousness. Now, in #1Jo 4:7 we read: “…every one that loveth is born of God.” The same perfect tense is used here and it should read, “has been born of God.” Is spiritual love the cause or the effect of the new birth? Does spiritual love logically follow or precede the new birth? And again the rankest Arminian among us will say that love is the effect or evidence of the birth of the Spirit. Now, take #1Jo 5:1: “Whosoever believeth that Jesus is the Christ is born of God.” The same perfect tense of the verb is used here as in the preceding examples, and should read, “Whosoever believeth.. has been born of God.” Now what will the Arminian say? Will he dare to say that faith is the cause of the new birth? If he does then, to be consistent, he must also say that spiritual love and practical righteousness are also causes of the new birth. We can only express surprise that Dr. Pendleton failed to see that the Greek in #Ga 3:26 reads “sons” rather than “children”. The reader will please note that #Ga 3:26 is the only passage that Dr. Pendleton quotes as seeming to teach that faith is instrumental in effecting regeneration. The theological value of the distinction we have made is far- reaching. It is a two-edged sword, cutting to pieces Arminianism on one side and Hardshellism on the other side. The Calvinist can accept the distinction and position helpfully but for the Arminian or Anti missionary to do so will spell the doom of his theology. Moreover, what we have written is in full harmony with the New Hampshire Confession of faith. Article eight says that repentance and faith are sacred duties and inseparable graces wrought in our souls by the regenerating Spirit of God. This clearly makes regeneration the cause of repentance and faith. Article seven says that “Regeneration consists of giving a holy disposition to the mind; …so as to secure our voluntary obedience to the Gospel; and that its proper evidence appears in the holy fruits of repentance and faith and newness of life.” If the writer is able to understand the meaning of language, then those articles state that faith is the effect or evidence of the new birth. Much of the confusion among Baptist today is the result of many of our prominent ministers subscribing to and recommending the New Hampshire Confession and at the same time repudiating it in their preaching. The practical value of our position is that it honors the Holy Spirit by making Him the author of that life which is essential to seeing and receiving the Gospel. “No man can say that Jesus is the Lord, but by the Holy Ghost” (#1Co 12:3). Our position is in perfect harmony with other Scriptural truths, such as, the effectual call, total depravity, human responsibility, and the sovereignity of God. The distinction we have made was first made by our Lord in His conversation with Nicodemus. He first proclaimed life by the Spirit as essential to spiritual sight and activity. He declared that which is born of the Spirit is spirit. This is life in the biological sense. Later in the same message, He preached life through faith in Christ and this life was opposed to perishing. He did not say that sinners were born again by faith as many are saying today. Let us keep regeneration and justification distinct in our thinking and preaching. Read the first six posts here, here, here, here, here, and here. In our discussion of a Reformed Baptist perspective on public theology, we have recently been examining the Reformed confessions. In today’s article, we will begin our discussion of some more recent developments regarding Reformed perspectives of public theology. In our view, no modern discussion on Reformed public theology can be presented without discussing the contributions of Abraham Kuyper. By becoming familiar with Kuyper’s approach to public theology, readers should be in a position to evaluate the politics of writers like Francis Schaeffer, Tim LaHaye (and many of the members of the Christian Right movement), and Tim Keller – all of whom owe an intellectual debt to Kuyper. As a minister in the Dutch Reformed Church and a leader in the first modern Dutch political party, the Anti-Revolutionary Party, Kuyper sought to re-create a Christian perspective on politics and society that would form the basis for Christian social action. 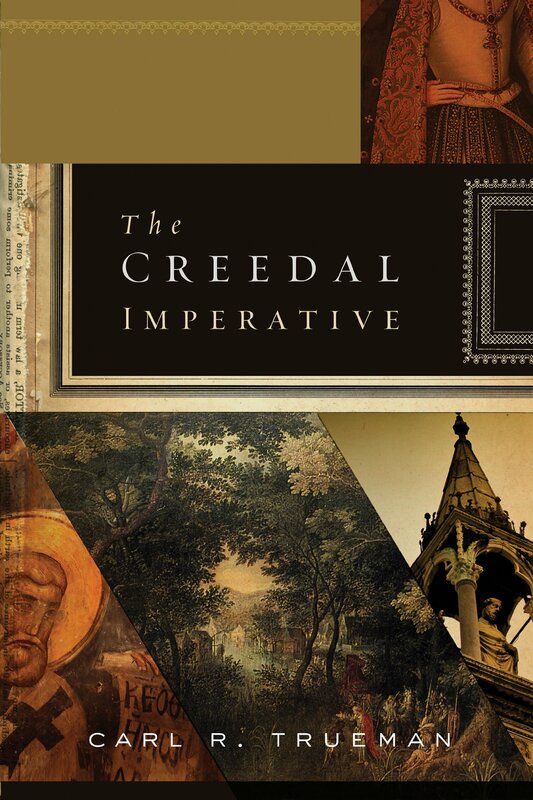 He envisaged this as an integral part of a comprehensive Christian worldview based upon the Scriptures and their interpretation within the Augustinian-Calvinist tradition. Although he wrote copiously in Dutch on theology, art, politics, education, and a host of other topics, only a few of his writings are available in English translations. The most comprehensive statement of his position in English is to be found in the Stone Lectures, which were delivered at Princeton Theological Seminary in 1898 and are published under the title Lectures on Calvinism. This article will consist of a brief exposition of Kuyper’s views as set out in these lectures. I would do anything personally for our excellent friend, Sir Wm. McArthur, and I earnestly hope he may succeed in his candidature for our borough; but the use of the Tabernacle for a purely political meeting would be greatly objected to, and would be very unfair to those of our friends who hold other views from mine. When a religious question is involved, the case is different; but in ordinary political conflicts we must resolve ourselves into individuals, but must not compromise the church which we officially represent. I am for Sir William heart and soul; but I am sure that he will see that as pastor of the church in the Tabernacle I cannot use its place of worship for any matter in which the church would not be practically unanimous if I proposed to hold a political meeting there. While writing on this point, I wish you could ascertain whether Sir William feels that he has a good backing for our borough. It would be a pity to fight and lose, and worse to let in a Tory. Could there be some test-ballot or other form of healing disunion? I know nothing whatever about the supporters of Mr. Keay, or about Mr. Keay himself. We will do our best for Sir William, but would like to know what chance there is, and who are with him, and who are not.